I have to admit that I did a bit of eye-rolling when our show producer told me we were interviewing someone from McDonald’s about their sustainability efforts. This has to be a joke – right? McDonald’s, the fast food giant responsible for deforestation, animal rights violations, and who could forget their Styrofoam clam shells, right? Sustainability indeed. But I gutted it up and read the entire book The Battle to Do Good – Inside McDonald’s Sustainability Journey from cover to cover. I fell hard and I was reminded that stereotypes, for the most part, don’t serve anyone well. Not only did I read the book from cover to cover, I got to meet and spend time with the author, Bob Langert, who served at McDonald’s Corporate Social Responsibility & Sustainability efforts. I humbly admit that pretty much all of my stereo-types went down the tubes and Bob (and his wife) could not be nicer, more down to earth and well-respected by the people at GreenBiz – an organization I know and trust. McDonald’s was the first large corporation to partner with the Environmental Defense Fund, an NGO, on sustainability issues and that partnership still exists to this day. McDonald”s opened their doors and were fully transparent from the get go. Impressive beyond measure. McDonald’s chickens are cage-free (HUGE battle with suppliers); they no longer use Styrofoam of any kind; they helped revolutionize the animal cruelty industry; they battled for a sustainable supply chain for all of their products; they began to work diligently to source their fish, coffee and beef sustainably; they switched from white to-go bags to brown (think about it – I had not) and continue to be rigorous in their recycling efforts. They continue to be leaders in sustainability, are planning to ban straws, are working on improving the nutrition of their food and the beat goes on and on and on. Stereotypes are never a good thing. Doing the good thing, the right thing, for people and the planet is not easy, even when its McDonald’s trying to change the supply chain for the billions of dollars they purchase from suppliers each year. McDonald’s has had a significant impact on all fast-food chains and continue to set the industry standard. 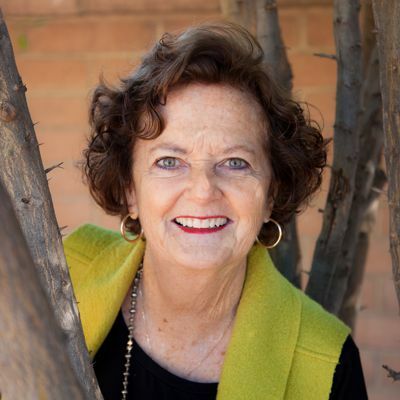 Hear more about Bob Langert and McDonald’s Battle To Do Good on this May 2019 podcast with Mrs. Green. 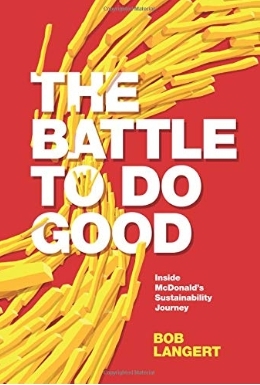 Purchase your copy of The Battle To Do Good: Inside McDonald’s Sustainability Journey here.